Welcome to 12221 Crosswinds Dr. This charming home located off of Tucker Station Rd offers loads of comfort. You enter into a very spacious living room that opens up to a beautiful eat in kitchen. From there you can walk out the back door to your huge back yard and concrete patio that are surrounded completely by your privacy fence. Back inside you can go to the second level where you will find 3 ample bedrooms and a full bath. In addition, the partially finished basement gives you a cozy environment of family room warmed by your fireplace. In addition, the basement offers the convenience of a half bathroom and ample laundry room. Call today for your private showing. This home just won't last long. Crosscreeke is a subdivision within the city of Louisville, Kentucky. There are currently 2 Homes for Sale within Crosscreeke, with asking prices ranging from $234,900 to $245,000. The average list price per square foot of the available inventory in Crosscreeke is $123, which is below the Louisville average of $156. The Average Sales price of all sold real estate in this subdivision for the past year is $211,084. Recent comparable homes have been selling for 97.82% of their asking price. Waterfront homes represent 50.00% of the available Crosscreeke inventory. The population of Louisville, according to the 2010 Census, is 597,337. The total number of households in the zip code of Crosscreeke is 4,595, with an average household size for of 2.20 people. The total number of renter households within the zip code of 40243 is 1,328, which means that 71.10% of households in this zipcode are owner occupant households. 12221 Crosswinds Dr, Louisville KY 40243 is a Home, with 3 bedrooms which is recently sold, it has 1,828 sqft, < 1/4 ACRE sized lot, and 1 Car Garage,Attached parking. A comparable Home, has 4 bedrooms and 2.5 baths, it was built in and is located at 12516 Farmbrook Dr Louisville KY 40243 and for sale by its owner at $ 214,990. 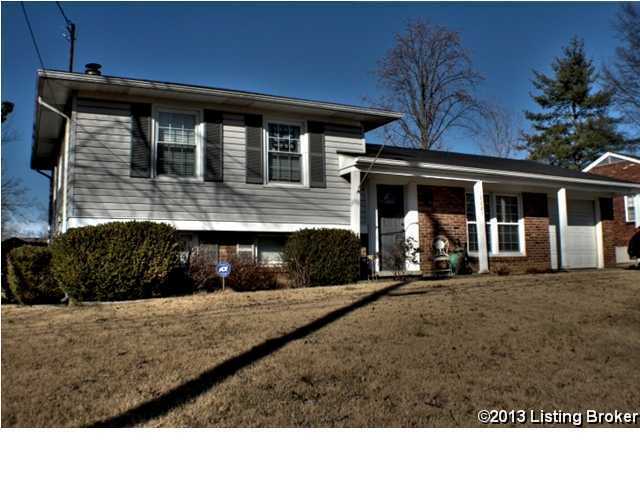 This home is located in the city of Louisville , in zip code 40243, this Jefferson County Home, it is in the CROSSCREEKE Subdivision, and Douglass Hills are nearby neighborhoods.